There’s always something fun going on in Lala land. 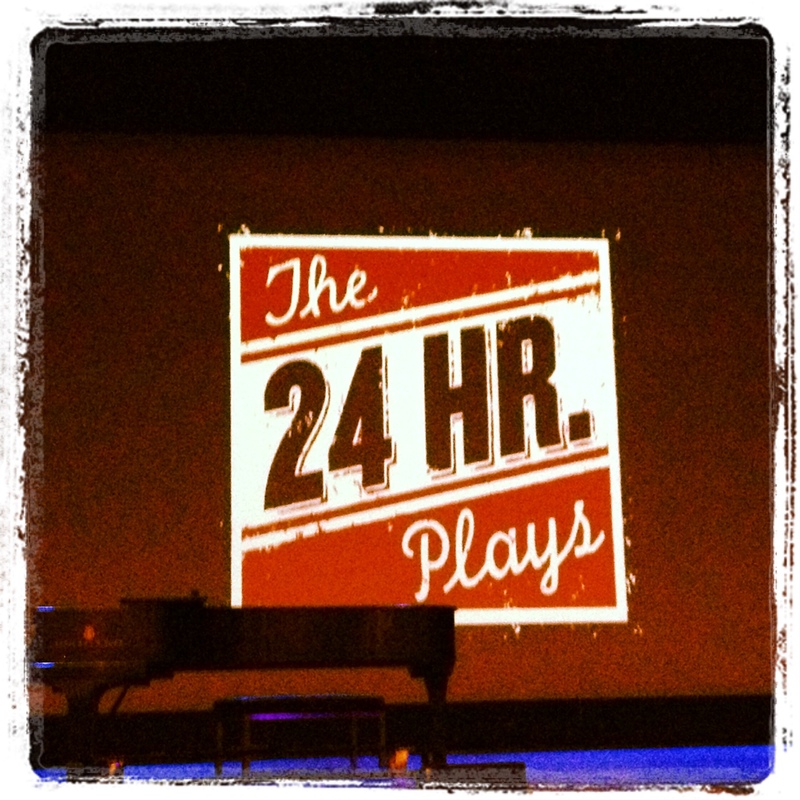 Last weekend, I went to the 24 Hour Plays at the Broad Stage in Santa Monica. The event – where six short plays are written, rehearsed and performed in a 24-hour period – has been going on in New York for years but this is only its third time in Los Angeles. While I had my doubts about the quality of the plays, I was really impressed with what they managed to achieve in such a short time frame, particularly Bear Witness and Something About Lily, my two favourites. Maybe it’s just that I still have a soft spot for Seth Green from his days as Oz in Buffy The Vampire Slayer but he was perfect as Build A Bear employee Gregg who has a romantic encounter with dippy bride to be Maise (Lucy Punch). I also loved Something About Lily, which achieved the (almost) impossible and made me love Wilmer Valderrama. The always wonderful Anna Camp was excellent as the ditzy woman torn between her cheating fiance Adam (Wilmer) and her bumbling criminal ex-boyfriend Derek (Skylar Astin), who tries to rob the liquor store they all find themselves in. Organisers Montblanc and the Urban Arts Partnership put together a stellar cast including Melanie Griffith, Jason Biggs, Molly Sims, Anna Camp, John Cho, Jamie Chung,Michael Ealy, Jack McBrayer, Ashley Fink, Seth Green,Ian Harding, Wilmer Valderrama, Sasha Alexander,Skylar Astin, Samantha Barks, David Krumholtz, Rosie Perez, Lucy Punch,Romy Rosemont, Hannah Simone, Alia Shawkat, Eddie Kaye Thomas and Tracie Thoms. Two students Emanuel De Los Santos and Cedeshea Oliver, were also chosen to take part in the productions. And of course the whole event is for a charitable cause (Urban Arts Partnership) so everyone left their egos at the door. No tantrums, no diva behaviour. Almost unheard of for an event involving so many celebs! Afterwards everyone decamped to the fabulous Shore Hotel for the afterparty where Rosie Perez kicked things off by taking over the DJ Booth. Melanie Griffith brought her son and daughter along. Ashley Fink twerked it on the dancefloor with Alia Shawkat and Gillian Jacobs while Tracie Thoms took over the karaoke. This entry was posted in LA Living and tagged 24 Hour Plays, Alia Shawkat, Anna Camp, Ashley Fink, David Krumholtz, Eddie Kaye Thomas, Hannah Simone, Ian Harding, Jack McBrayer, Jamie Chung, Jason Biggs, John Cho, Lucy Punch, Melanie Griffith, Michael Ealy, Molly Sims, Montblanc, Romy Rosemont, Rosie Perez, Samantha Barks, Sasha Alexander, Seth Green, Skylar Astin, Wilmer Valderrama. Bookmark the permalink.